The VG activation delay allows you to apply an activation delay for relays, contactors, solenoid valves and consumers quickly, simply and with minimal wiring. The VG does not require any additional power supply. It is wired in series to the consumer, making it cheap to retrofit existing systems. The time range for the delay is between 0.09 seconds and 40 minutes. 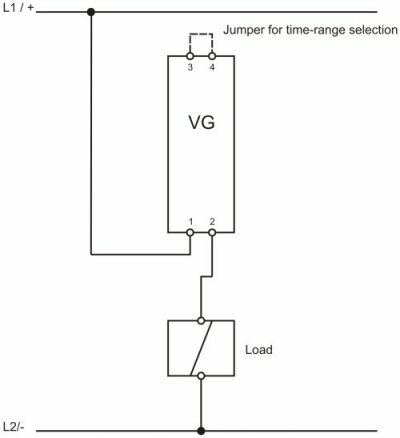 The VG activation delay is designed for two time ranges between which can be switched using a jumper. 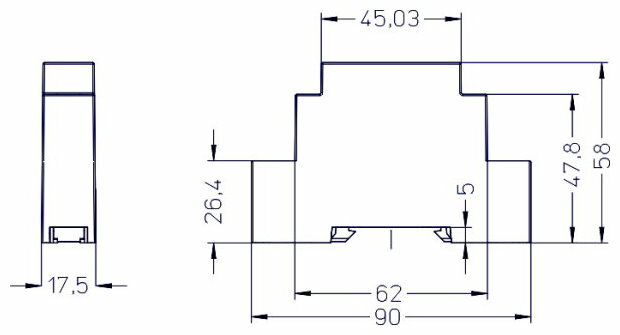 There are four different variants available, covering the voltage range from 24 to 230VAC/DC. The device can be operated using AC voltage or unfiltered or partially filtered DC voltage after the rectifier bridge. It takes three steps to set the time. 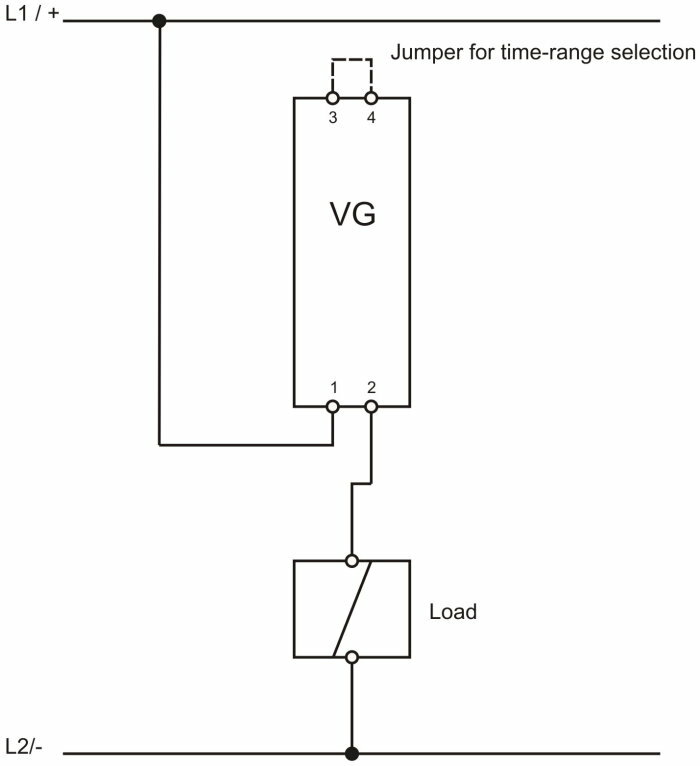 The selection is made using a wire jumper between clamps 3 and 4. The time range is set using the three DIP switches. 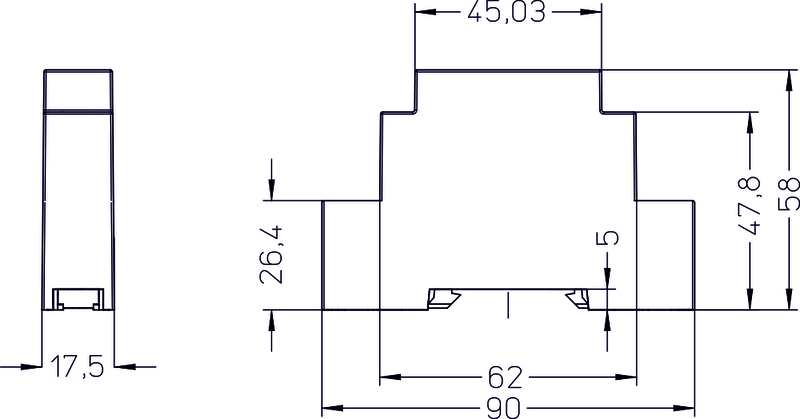 Fine adjustments are made with the adjustment wheel on the front of the device.